We love our students and we know you do too! We’re delivering every student a candy treat to their locker on 2/14. 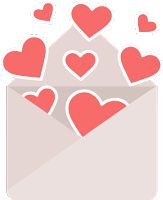 Would you like to include a personal message and send some love to your special student? Valentine Candy Grams are available through February 11. Download this form, fill out and send in to the main office and a treat will be left for your student!